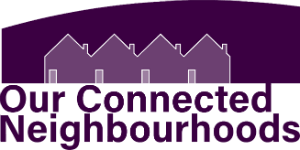 Our Connected Neighbourhoods is a dementia enabling communities project. Funded by the Life Changes Trust, this 3-year project is looking to put people living with dementia at the heart of their community. Bringing together people living with dementia, practitioners and researchers, Our Connected Neighbourhoods is looking at how a dementia enabling community is created and how this process can best be supported. The Digital Strand of OCN focuses on the use of digital technology within the context of establishing a dementia friendly community. This will include the direct use of digital technologies by project members and assessing the role that digital technology can play in self-supporting people living with dementia. In working with socially isolated groups we recognise the role that strengthening digital skills and capacity can play in our project aims. We will provide one-to-one / small group mentoring to our participants (both people living with dementia and carers). In addition we will be working with partner organisations to identify and resolve gaps in their digital knowledge as we look to build capacity across existing community organisations and so maximise the reach that we can have directly with limited resources. Volunteering resources to provide as much ongoing support as possible to project participants and partners.